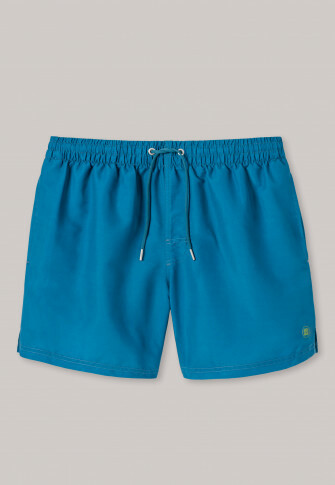 These men's swim shorts score points with their casual look and soft material. Comfort is written in capital letters here, as the elastic waistband can be individually adjusted with the drawcord and the loose fit with side slits ensures plenty of freedom of movement. 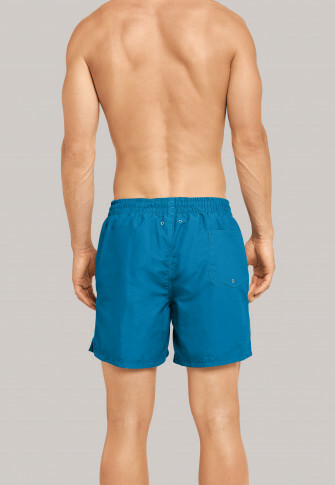 Thanks to eyes in the back pocket, air can escape and the shorts have an ideal fit with the integrated mesh briefs. Made for a perfect summer!